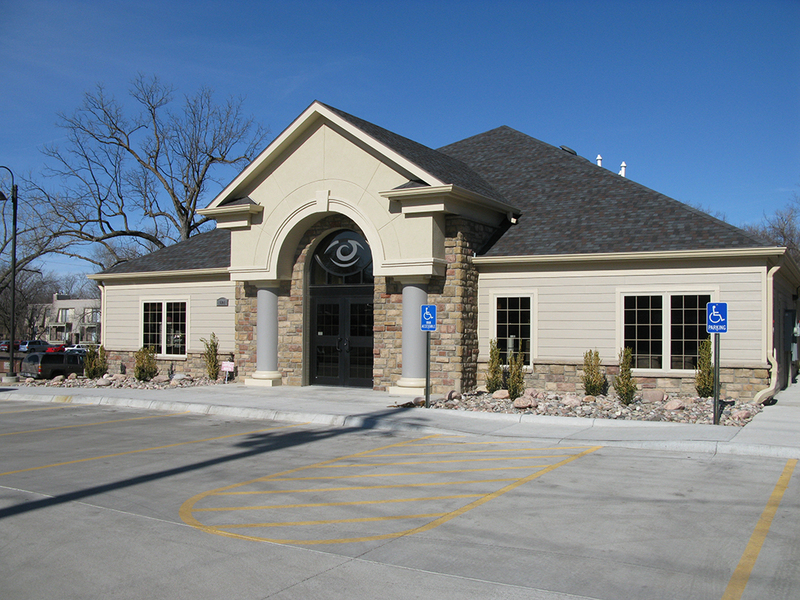 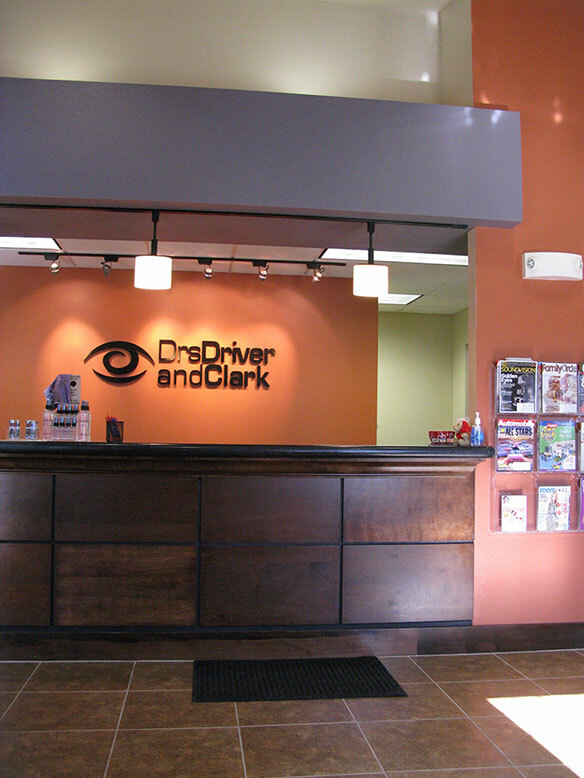 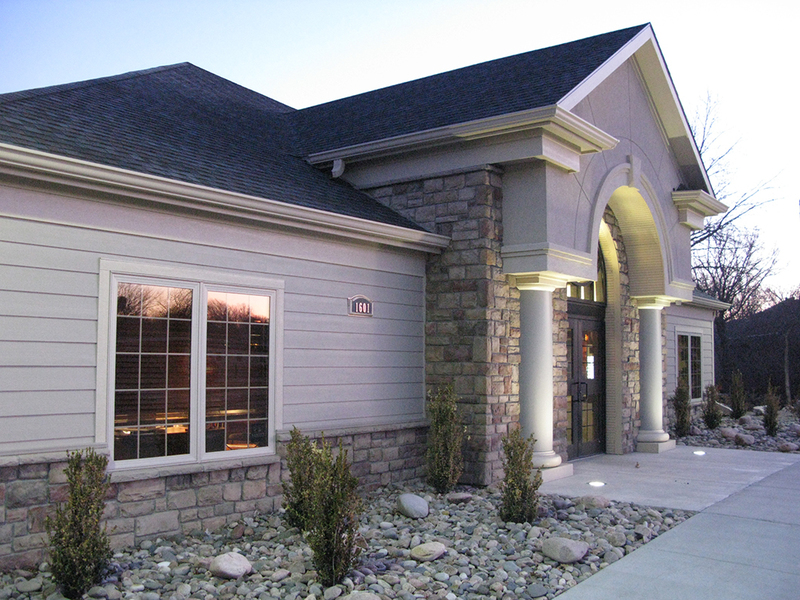 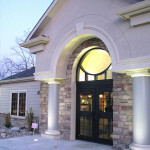 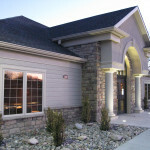 This new optometry office blends design and nature with its complimentary cultured stone façade, asphalt roofing, and stately columns showcasing the front entrance and unique frosted logo. 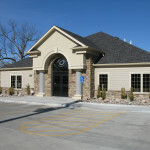 Positioned in front of tree lined Smoky Hill River, the structure includes office and exam space for a growing optometry clinic. 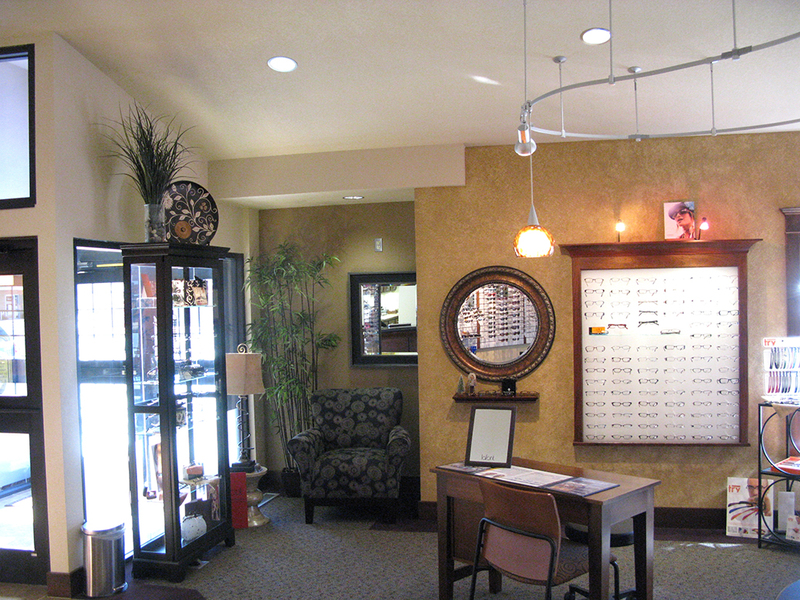 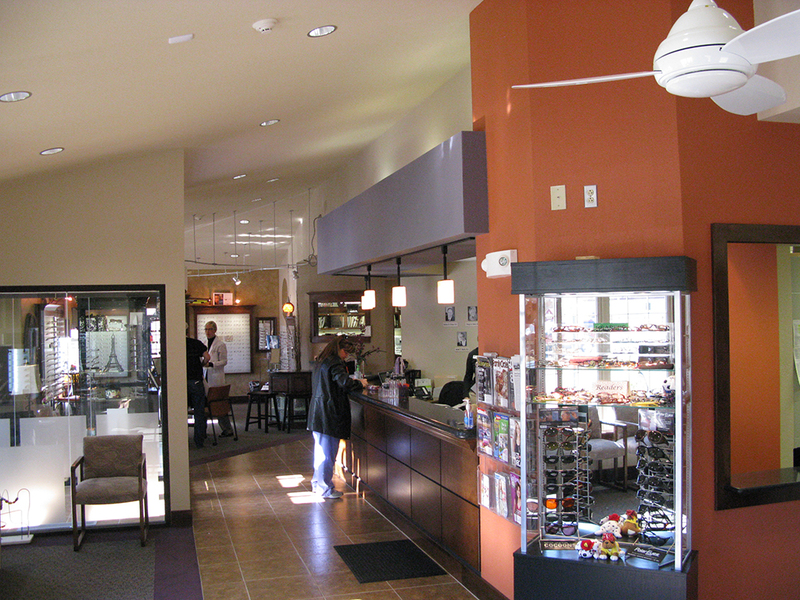 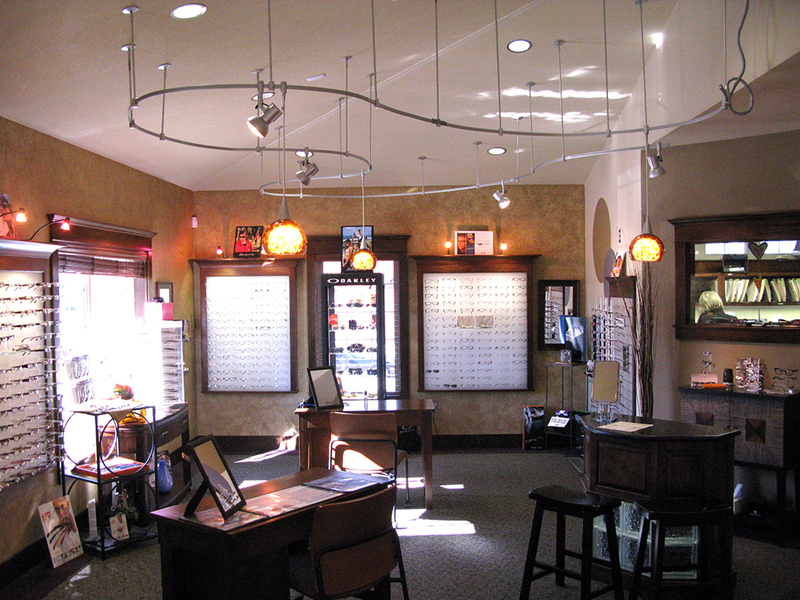 Unique display lighting and warm vibrant colors are used throughout to enhance the display and eyeglass sales area. 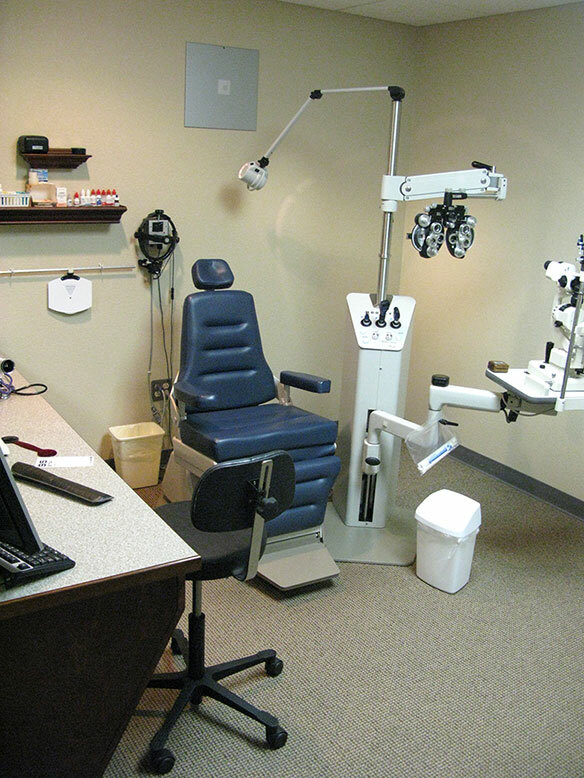 The exam rooms feature state of the art equipment used in the eye care profession. 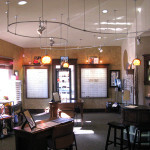 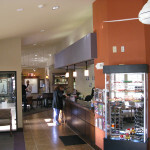 The basement area contains staff areas along with a vision therapy center used extensively in the diagnosis treatment of vision related disabilities.